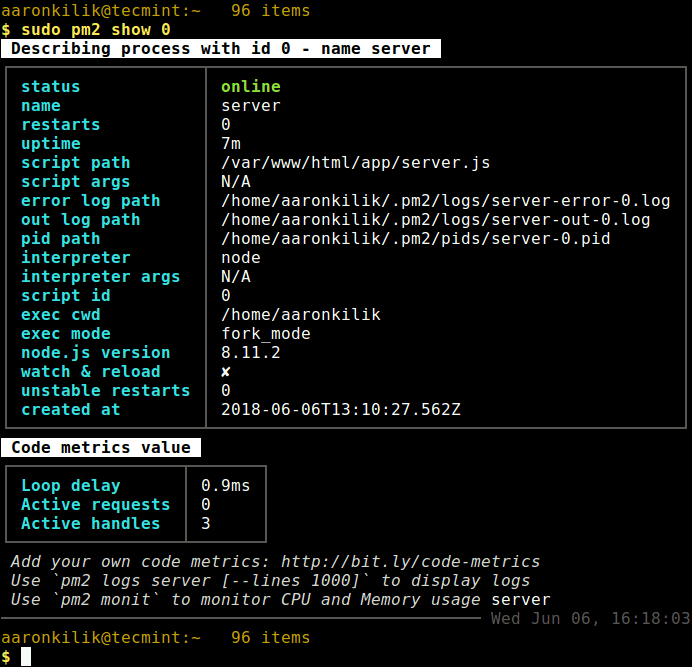 PM2 is a free open source, advanced, efficient and cross-platform production-level process manager for Node.js with a built-in load balancer. 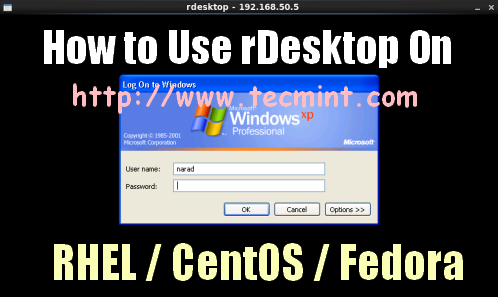 It works on Linux, MacOS as well as Windows. It supports app monitoring, efficient management of micro-services/processes, running apps in cluster mode, graceful start and shutdown of apps. It keeps your apps “alive forever” with auto restarts and can be enabled to start at system boot, thus allowing for High Availability (HA) configurations or architectures. Notably, PM2 allows you to run your apps in cluster mode without making any changes in your code (this also depends on the number of CPU cores on your server). It also allows you to easily manage app logs, and so much more. In addition, it also has incredible support for major Node.js frameworks such as Express, Adonis Js, Sails, Hapi and more, without need for any code changes. PM2 is being used by companies such IBM, Microsoft, PayPal, and more. In this article, we will explain how to install and use PM2 to run Nodejs apps in Linux production server. We will create an app for demonstrating some of PM2’s fundamental features for you to get started with it. 1. To install most recent version of Node.js and NPM, first you need to enable official NodeSource repository under your Linux distribution and then install Node.js and NPM packages as shown. 2. Now, let’s create a testing application (we will assume it has a client and admin side which share the same database), the microservices will run on ports 3000, and 3001 respectively. Next, copy and paste the following pieces of code in the server.js files (replace 192.168.43.31 with your server IP). 3. 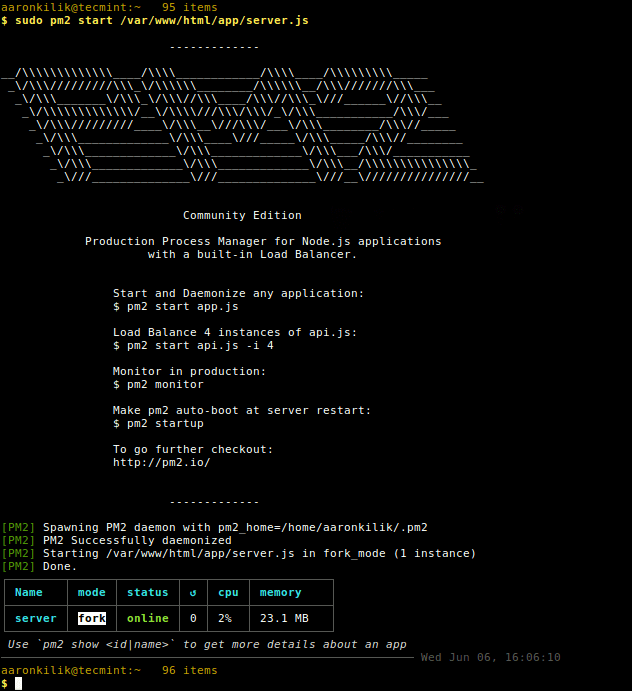 The latest stable version of PM2 is available to install via NPM as shown. 4. Once PM2 installed, you can start your node applications using following commands. Note that, in a production environment, you should start them using PM2, as shown (you may not need sudo command if your app is stored in a location where a normal user has read and write permissions). 5. To start an application in cluster mode using the -i flag to specify the number of instances, for example. 6. To list all your node application (process/microservices), run the following command. 7. 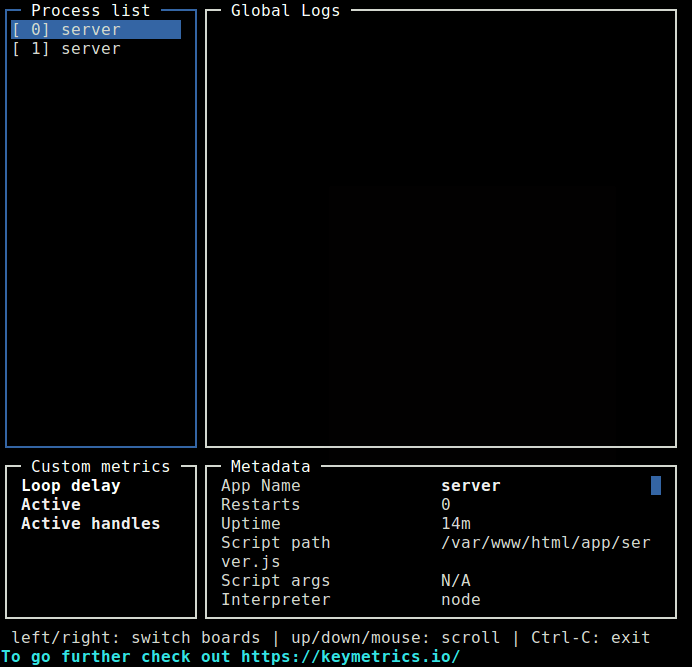 To monitor logs, custom metrics, process information from all processes by running the following command. 8. To view details of a single Node process as shown, using the process ID or name. 9. The following is a list of some common process (single or all) management commands you should take note of. 10. To manage application logs, use the following commands. 11. To manage the PM2 process, use the following commands. 12. 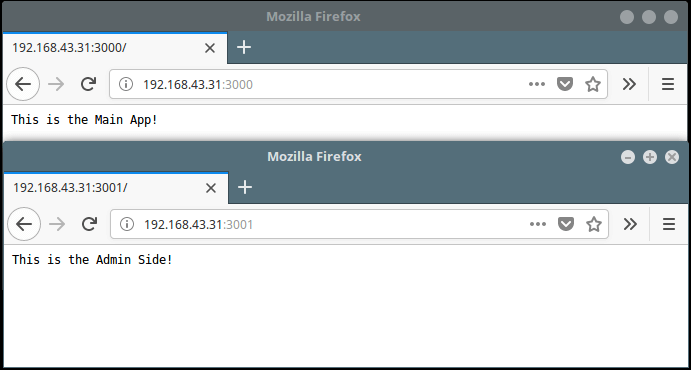 To access all your node application from a remote web browser, first you need to open following ports on your system firewall, to allow client connections to the apps as shown. Last but not least, PM2 is a simple, in-built module system to extend its core capabilities, some of the modules include pm2-logrotate, pm2-webshell, pm2-server-monit, and more – you can also create and use your own modules. For more information, go to the PM2 GitHub repository: https://github.com/Unitech/PM2/. That’s all! PM2 is an advanced, and efficient production-level process manager for Node.js with a built-in load balancer. In this article, we showed how to install and use PM2 to manage Nodejs apps in Linux. If you have any queries, send them to use via the comment form below.